Warehouse and distribution centre (DC) design is a fascinating and absorbing topic, but alas, is often misunderstood. Regretfully, few people really understand the discipline of warehouse design and as a result, there are literally thousands of facilities that are under performing. To assist designers, I will outline the seven key principles that apply to warehouse and DC design. These have been compiled from a review of literature, discussions with industry specialists and materials handling companies, plus my own design experience over many years. One warning before I begin. The principles won’t make you into a seasoned designer, but they will help you understand the salient aspects of the design task, and how to think about and plan your facility for optimal performance. In a recent web discussion with a number of warehouse professionals, I asked their opinion on what were the critical principles of effective warehouse design. This principle ranked at top of the list. The first step must involve defining the objectives and goals of the facility. What is it there for, what market does it service, is it part of a network, what types of goods will be stored, what is the anticipated life of the facility, will it be a greenfields site, or an existing facility? To press the point, it is useful to write the objectives down so that all associated parties remain cognisant of the expected outcome – especially if timing, budget or resource issues during the project life tempt stakeholders to compromise operational or design goals. c) The nature of orders and specific picking requirements, g. is picking performed in containers, pallets, cartons, inners, or single units? Now if you are thinking that this is easy, think again. This is one of the hardest and most time consuming components of a design project. Why? Rarely do enterprises have such data readily available. Designers must therefore ‘mine’ it from the enterprise as best they can. In cases where data is piecemeal or nonexistent, the designer must draw from his/her own experience to fix assumptions around volumetric estimates. This can be particularly challenging when heavy scrutiny is placed upon the designer to prove the concept, and is best performed with collaboration and agreement from the stakeholders involved. d) What functions need to be provided for? It’s imperative that the designer understands all of the functions that are to be included on the site footprint, e.g. warehouse, offices, gantry cranes, loading docks, forklift charging areas, dangerous or hazardous goods, cool or cold rooms, clean rooms, manufacturing or packaging operations, staff facilities, etc. Equally important is that relative dependencies between functions are determined so that the designer can correctly frame functional proximities for best flow and operation by staff. Once the data has been analysed, the designer is ready for equipment selection. Be it static racking equipment, mezzanines and the like, or mechanical equipment such as conveyors, carousels, stacker cranes etc., all equipment and systems must be applied according to their purpose, limitations and fit with the volumes handled. For instance, it is a waste if an automatic storage and retrieval system is installed, when a conventional racking system will suffice. Conversely, if the facts point to justification of a high-velocity automated system, it is foolish to ignore them for the sake of a more conventional system. A critical aspect of equipment selection is that the designer has expert knowledge of available equipment and technologies, and how to apply them. This is a complex area that deserves careful consideration and the novice designer is well advised to seek advice from materials handling equipment and software suppliers, builders, and industry specialists to ensure that their design is well founded, robust and practical. This aspect incited some interesting comments from my web conference colleagues. From their wise counsel and my own experience, I suggest that the skilful designers apply two immutable laws of flow. The best warehouse operations are those that apply this Whether straight, clockwise, counter clockwise, up or down, make sure it flows in a one-way direction. But here’s a tip. Be cautious when dealing with international customers, where cultural and religious beliefs point to specific requirements. An interesting challenge that I experienced on a recent project was the Hindu philosophy of Vaastu Shastra. The customer politely indicated that the warehouse flow should be clockwise, heavy goods should be stored in the south west, with lighter products in the north east. The front door and offices should face east with entry to the site from the north. Needless to say, this provided an intriguing set of constraints that I happily applied to the design of both site and building. The key point here is that despite restraints, the designer should always err to the one-way flow principle. The second rule of flow is that free movement has priority over storage capacity. If you are pressed with a choice, the pundits agree that it’s better to hold flow sacrosanct, compared with building more stock or storage equipment. Why? Long after the warehouse construction has been completed, a team has to operate efficiently and safely in the warehouse year after year. If the design compromises on the size and quantity of aisles, for sake of more stock holding, beware: this can cause sub-optimal performance over the life of the facility. A simple rule that says it all: keep the product handling by people to a minimum. Ideally from 3-5 touches of the product, while goods are the in the warehouse. Sadly, I have witnessed operations that handle goods up to 8 to 10 times. Normally there is severe design or building constraints applicable to such situations. But the outcome is evident in the maxim: ‘more touches, more cost’. Take note! return on investment, payback, cost per order to supply, cost per cubic metre to name just a few. reviewing the advantages and disadvantages of options considered. Ideally the evaluation is best performed both individually and in a team workshop environment. It’s amazing what can be revealed when a team collectively focuses its attention at a project. Despite the meticulous job the designer may have performed, a workshop can often reveal a late insight, idea, or missed detail that can significantly impact upon the end design. The design process is multifaceted, and normally involves executives, managers, and operators – not to mention equipment suppliers, builders, architects, and councils. As part of the development process all should be regularly consulted as to planning and legal requirements, operational needs, preferences, ideas and opinions. In my experience, no one party has all the background and knowledge to implement a DC project. The best implementations typically feature a cohesive and dedicated team charged with managing the project from early design phases through to completion. Well, that concludes this short article on the Seven Principles of Warehouse and DC Design. I trust that you found them useful, and that your fascination of the design process has been sparked or invigorated. However, there’s one more design tip that I would like to share. In applying the principles, please be mindful that the design of warehouses generally flows from the inside out, not from the outside in. In other words, materials handling system before building. This is most important to remember when dealing with architects and construction companies who are well qualified at ensuring the best construction and décor of a new building, but not necessarily at designing the best materials handling operations. I wish you all the best in your pursuit of high performance warehousing operations. Mal Walker is manager, consulting, with the L ogistics Bureau, where he leads the Warehousing and Distribution C entre Design Practice. He works with local and international organisations and has over 30 years’ experience in warehousing and supply chain, 15 of which have been in consulting. 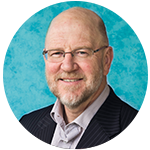 He is a Life Member of the L ogistics Association of Australia and Member of the C ouncil of Supply Chain Management P rofessionals. He holds qualifications in engineering, logistics and business administration.